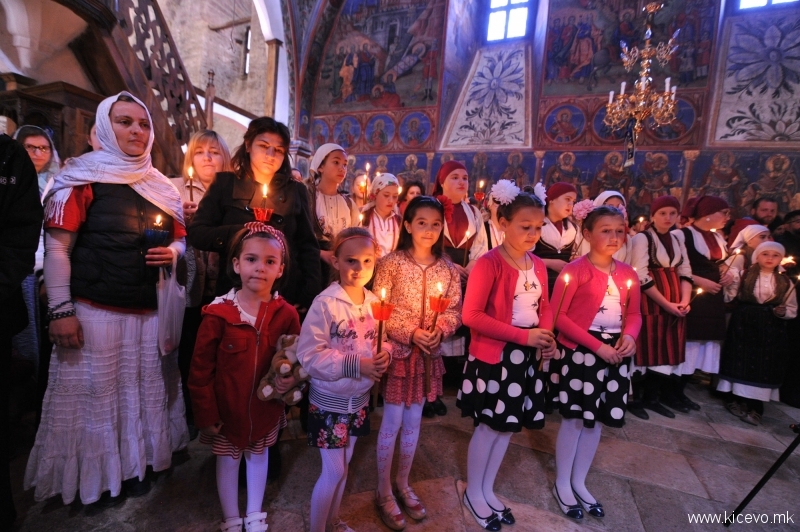 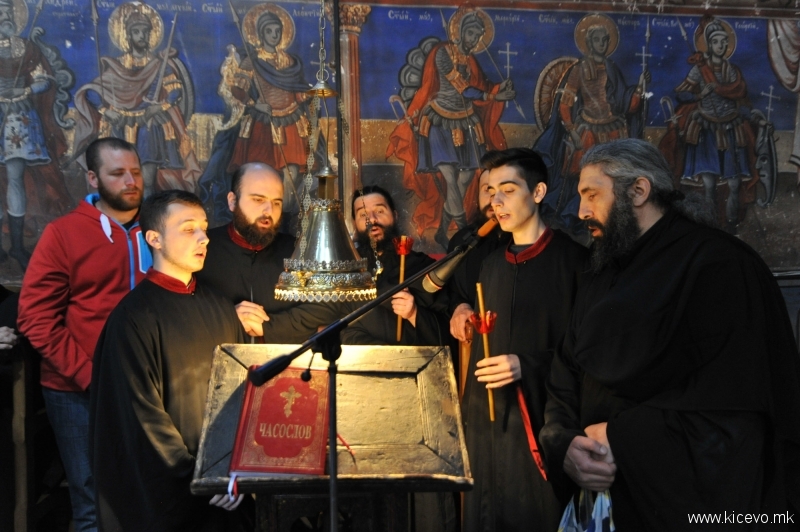 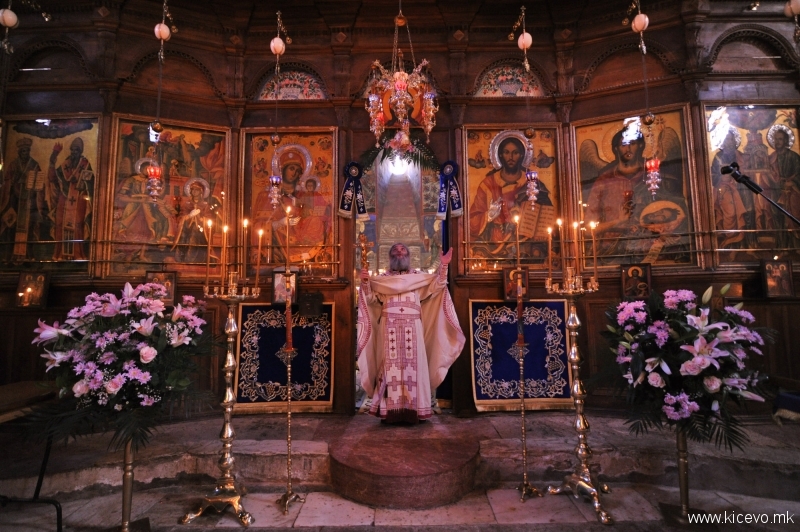 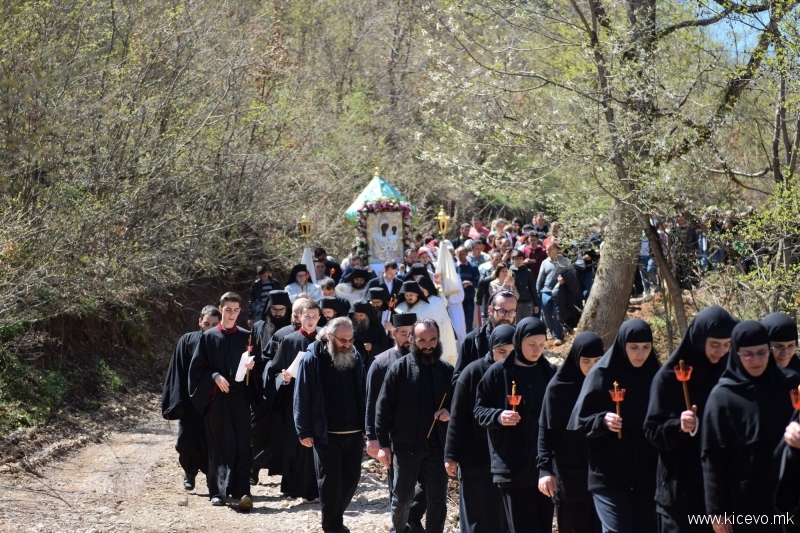 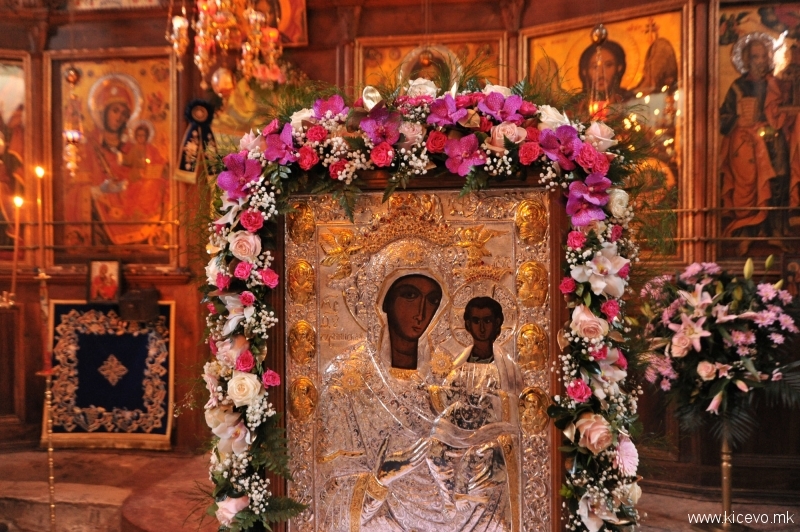 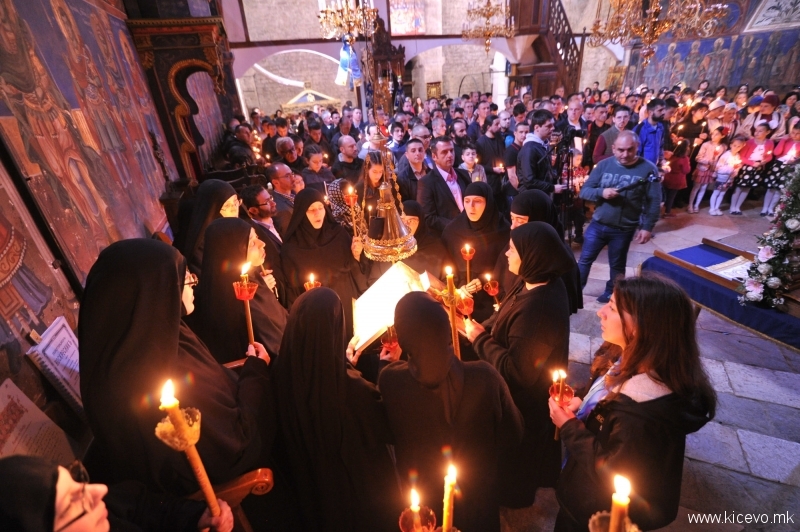 Kichevo Monastery Holy Mother of God -Immaculate Kichevska on Monday, April 9, hosted a commemoration of the martyrs Paisius, Evnuvius and Averkius. 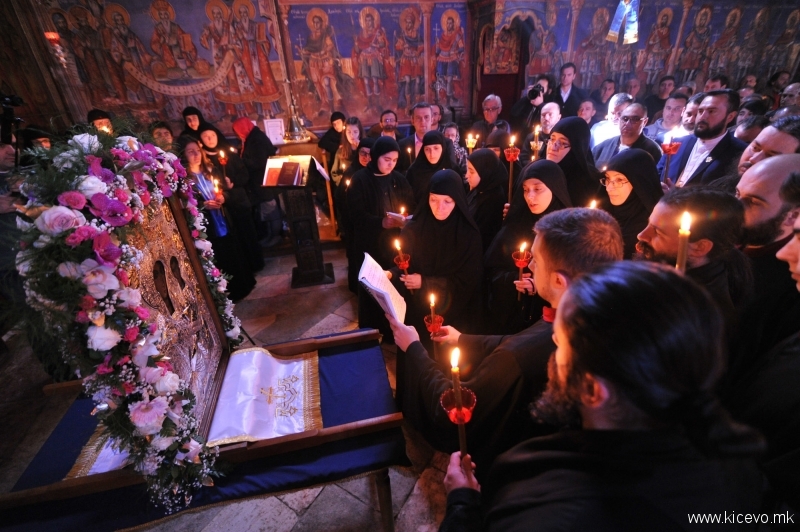 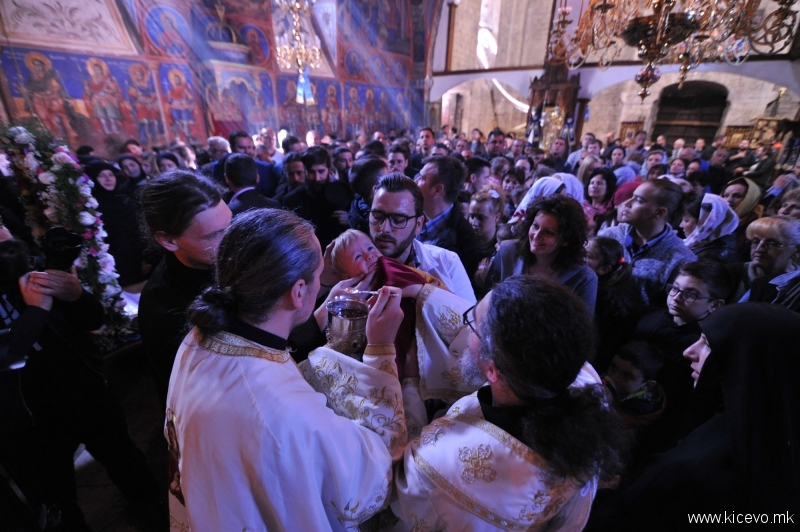 The celebration was marked by the Archimandrite Parteius, abbot of the Bigorski monastery of St. John the Baptist. 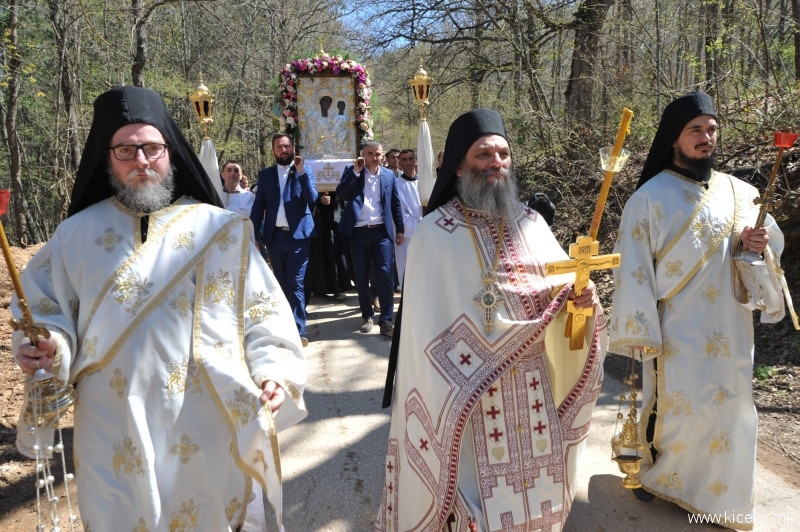 The event was attended by many people from the region who came to honor the martyrs, and ended with procession, which headed to the place “Gospodinec”, where, according to the tradition, three monks were sacrificed. 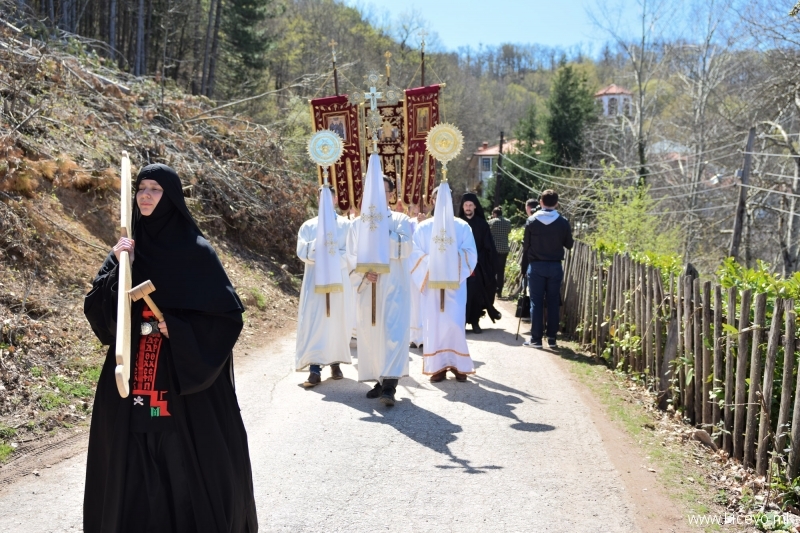 This historic event took place in the morning of March 27 (old style) / April 9 (new style) in 1558, in the fifth week of Easter fasting, when the Monastery was attacked and burned down. 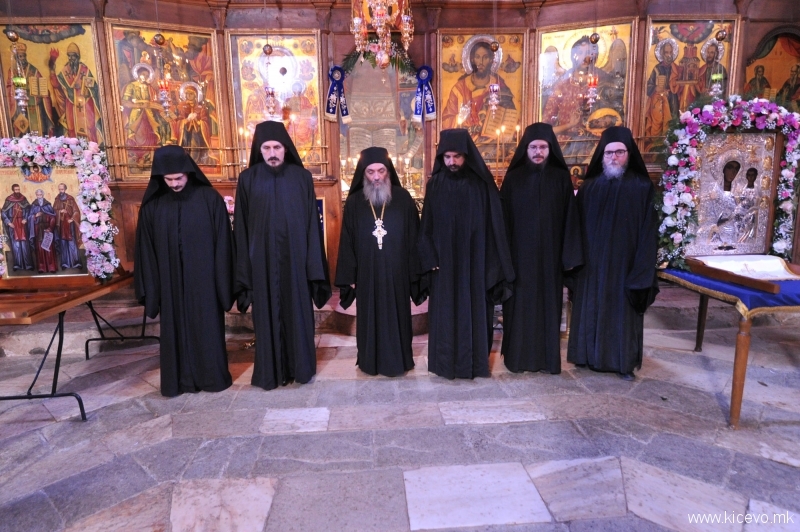 Three of the monks from monastic brotherhood were killed after refusing to leave holy liturgy. 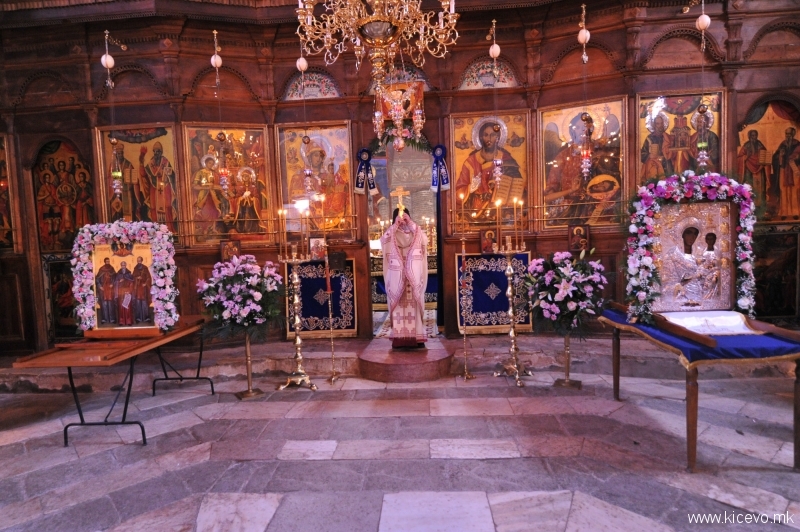 The Macedonian Orthodox Church – Ohrid Archbishopric in 2012 adopted a decision on the canonization of three martyrs. 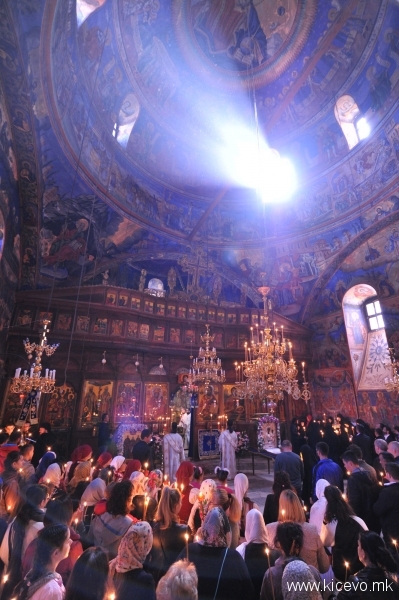 The canonization was held at a large church-folk gathering on August 2, 2012, Ilinden Day. 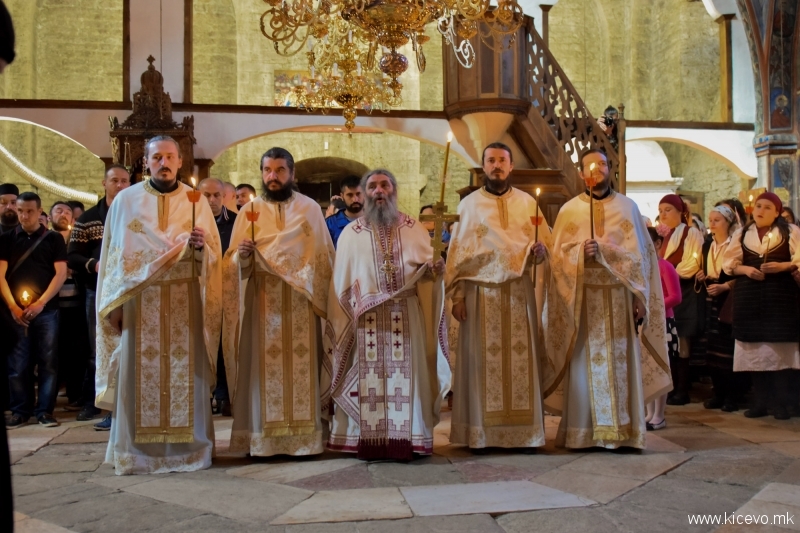 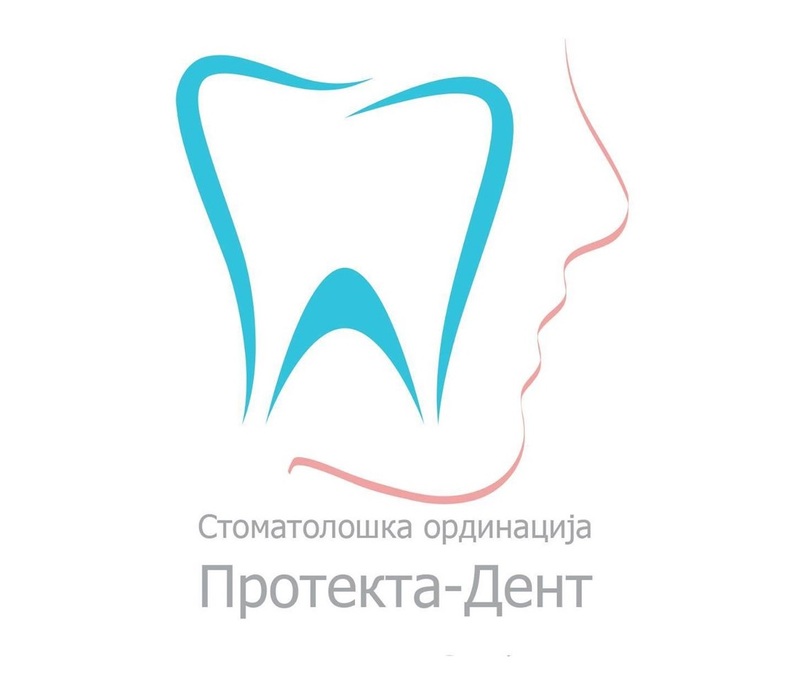 The event was also attended by the Director of the Commission for Relations with Religious Communities and Religious Groups, Darijan Sotirovski.